Okay. 350 is an easy name to remember. But what does it mean? Scientists around the world are in almost unanimous* agreement: 350 parts per million (350 ppm) of carbon dioxide (CO2) in the atmosphere is the maximum safe limit to maintain life on Earth as we know (and love) it. The bad news? We’re currently at 410 ppm. And rising. The good news? We’re part of a global grassroots movement working in multiple ways in multiple countries to bring us (all of us) back from the brink and back on track. The best news? We’re starting to make a difference. And you can join us. * 97%. That’s getting pretty close. 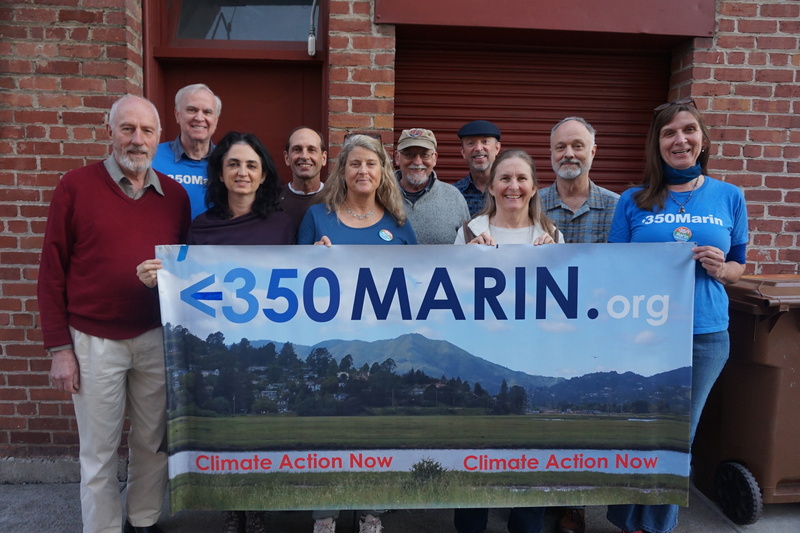 350Marin is made up of grassroots activists who are deeply concerned about climate breakdown. 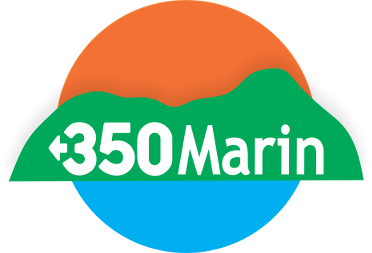 Regionally, we’re affiliated with 350BayArea, which is working to achieve a significant decrease in all heat-trapping gases both locally and statewide. Globally, we’re part of the 350 movement that’s continuing to grow in 188 countries around the world. We are committed to holding our leaders and communities accountable to the realities of science and the principles of social justice. We hope you’ll join us. Participates in climate breakdown campaigns with regional, state, national and international coalitions. Uses multiple techniques of non-violent resistance and civil disobedience pioneered by Gandhi and Martin Luther King. Supports and encourages activism through artistic expression. 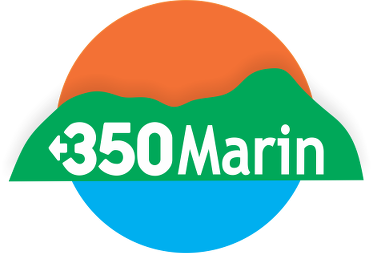 We also network with other non-profit, environmental and social justice organizations in Marin working for positive change.